Today’s digital business is putting tremendous pressure on IT service desks as the volume of requests go up and resources stay flat. Over half of enterprises have implemented self-service processes but are still not realizing the business benefits. IT organizations can learn from organizations, like Amazon, who have a proven approach to delivering customer service that both reduces costs and improves customer satisfaction. While their approach is primarily focused on external customers, there is a lot IT can learn about the prioritization process needed to support a shift-left strategy. Amazon’s founder and CEO, Jeff Bezos, once said “I would define Amazon by our big ideas, which are customer centricity, putting the customer at the center of everything we do, [and] invention” (CBS News, 2013). Since its founding, Amazon has been known for its dedication to customer service and customer service strategy. In the book The Best Service is No Service: How to Liberate Your Customers from Customer Service, Keep Them Happy, and Control Costs, written by former Amazon managers Bill Price and David Jaffe, the co-authors emphasize on the idea that eliminating the need for service is in fact the best way to grow customer satisfaction. 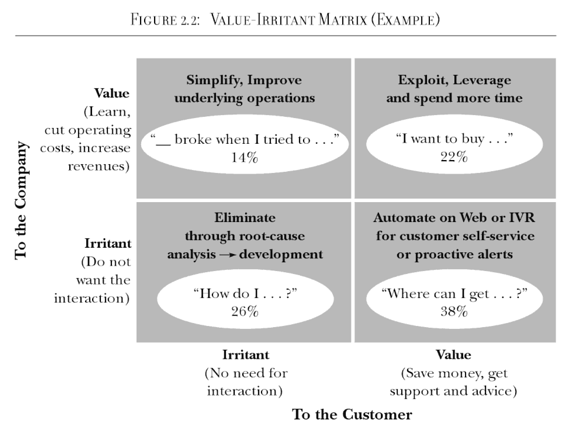 According to Price, the value-irritant matrix presented in the book delineates a way for managers to analyze and categorize incoming conversations with customers in order to understand which interactions are most important. The matrix, which is shown below, helps classify customer conversations into one of the following actions: simplify, leverage, eliminate, or automate. The purpose of this categorization is to understand which customer interactions can be improved or leveraged ­— which usually need human contact ­— as opposed to those that need to be eliminated or automated through self-service, such as AI, chatbots or other self-help technologies. In other words, managers need to understand the requests and incidents that come into the service desk in order to reduce low-value, repeatable issues and focus on high-value interactions! Gartner’s report on 3 Simple Ways IT Service Desks Should Handle Incidents and Requests, explains that, with a few adjustments, the value-irritable matrix approach can also be applied to ITSM. While Price’s matrix uses four categories, Gartner recommends three: eliminate, automate and leverage. The process starts with IT interacting with the business and understanding their service desk data. Similar to how Amazon focuses on prioritizing high-value interactions with customers, IT services desk takes a similar approach to categorizing incidents and request to take advantage of the “shift-left” approach to eliminate and /or automate recurring low-value incidents. Once IT understands the categories and the types of requests they get, they can begin developing a strategy for reducing incidents and requests that reach the service desk. Eliminating common incidents by understanding the root cause ­— understand the most common low-value interactions with the IT service desk that irritate the employee/customer and eliminate by fixing the underlying causes using standard problem management best practices. The solution can range from fixing common recurring infrastructure issues to providing easy access to self-help knowledge for very common configuration or how-to information. Identifying and eliminating these very common calls will have an immediate impact on the productivity of the IT service desk staff. Automating by using tools such as self-service — with the day-to-day use of technological solutions, users are expecting a more intuitive experience. Using advanced technologies, such as the powerful combination of self-help knowledge with AI, machine learning and virtual assistants (chatbots), you can provide employees with quick and easy access to the answers they need without the need to talk a service desk analyst. 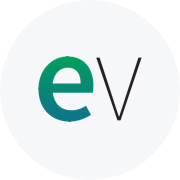 Empowering employees to get the answers they need, whether it’s ordering a new headset or resetting a password should be easy and available from anywhere without the involvement of tier-1 support. Leveraging IT service desks can use high-value employee service interactions to improve business processes and speed up business transformation. An example of this would be to improve knowledge around a new technology that’s being rolled out to the organization. Having guided support for this new technology roll-out will help the IT service desk effectively communicate how to use the new technology to achieve business results. Having more time for the service desk to interact with employees with these kinds of interactions that tie to the business will improve the perception of IT as business enabler. Want to learn how you can get started? Download the Gartner report: 3 Simple Ways IT Service Desks Should Handle Incidents and Requests.